I'm sure you have been noticing a bit more traffic on the road over the last few months. The Bay Area economy is surging, and the San Jose Metro is leading the pack. There were a grand total of 41,200 jobs added to the California economy last month. 7,600 were in the Santa Clara County. Despite making up only 5% of California's population, San Jose landed 18% of the state's new jobs. San Francisco and San Mateo combined gained 4,600 jobs and the East Bay scored 3,400 jobs. 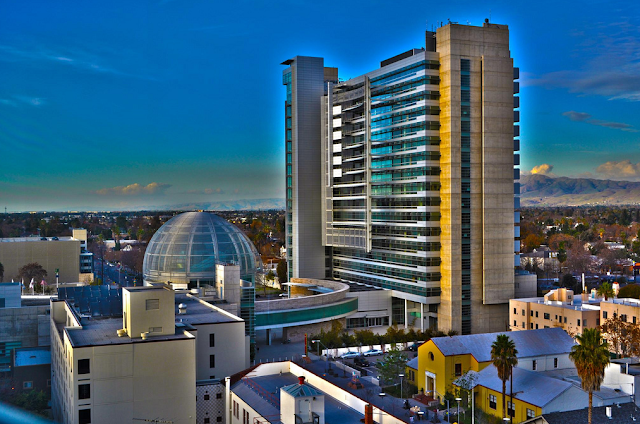 Of those new 7,600 jobs in the San Jose Metro, 2,300 were high-paying tech jobs. Now would be a good time to focus additional investment into infrastructure, we're going to need it. We will certainly need further investment in public transportation in order to take "some of the load" off the roadways. It would be great if some time in the near future there was a single multi-modal operator to manage trains, trams, trolleybuses and buses. Not going to happen but I can wish. Could not agree more. At least the MTC (Metropolitan Transportation Commission) and ABAG (Association of Bay Area Governments) are considering a merger which would tie transit and housing planning together. Let's hope! There is so much work to be done and it shouldn't be done in silo's!